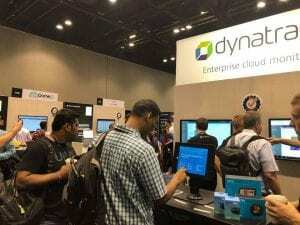 Nov 7, 2018 - 74% of CIOs are concerned that Internet of Things (IoT) performance problems could directly impact business operations and significantly damage revenues, according to an independent global survey of 800 CIOs commissioned by Software intelligence company, Dynatrace (dynatrace.com). Want to add a website news or press release ? Just do'it, it's free! Use add web hosting news! Nov 6, 2018 - Lefdal Mine Datacenter Signs Another 4 MW - "We are experiencing a massive interest in our product," said Jørn Skaane, CEO of Lefdal Mine Datacenter (lefdalmine.com). Lefdal Mine Datacenter, a former mine located at the West Coast of Norway that's being transformed into a highly secured colocation data center, has signed a 3 MW contract with iNNOVO Cloud GmbH. In addition, Fortuitus AG has increased their contract with Lefdal Mine Datacenter announced earlier this year to 5 MW. Nov 6, 2018 - StackPath Partners With Sectigo to Offer Free Private SSL Certificates - StackPath, a rapidly growing provider of secured cloud services built at the cloud's edge that has acquired its way to $200 million in revenues in just a few years time, now partners with Sectigo – formerly known as IT security solutions provider Comodo CA – to include private SSL certificates at no additional cost with StackPath's content delivery network (CDN (stackpath.com)), web application firewall (WAF), and Edge Delivery subscriptions. StackPath customers can receive a private SSL certificate for each CDN or WAF site they create on the StackPath platform, ensuring their end users' traffic is encrypted from the web browser to the content or web application. Nov 5, 2018 - Docker Adds Three Executives to Its Leadership Roster - Container platform provider Docker has expanded its leadership team with the appointment of three software industry veterans – to meet the growing demand for Docker Enterprise (docker.com). The new additions to the leadership team come on the heels of a successful first half of its fiscal year, with the company now surpassing over 650 Docker Enterprise (docker.com) customers worldwide. Kal De, former senior VP of Product Development for VMware's Cloud Management Business Unit, has been appointed Chief Technology Officer. Nov 7, 2018 - Druva Launches Data Management-as-a-Service on #AWS - Druva, a data management-as-as service platform unifying data protection, governance and intelligence across enterprise data, has announced the availability of Druva Cloud Platform on Amazon Web Services (AWS) Snowball Edge. This solution would allow enterprises to freely move data between on-premises and cloud without the lock-in, complexity, and cost of legacy hardware. AWS Snowball Edge is a data migration and edge computing device with 100TB of capacity and support for computing tasks via built-in Amazon Elastic Compute Cloud (Amazon EC2) and AWS Lambda function capabilities. Nov 7, 2018 - Dutch Court Fines Ctac to Pay Millions of Euros to Leaseweb for Failed SAP Project - Cloud and business integrator Ctac (ctac.nl), a listed company headquartered in Den Bosch, the Netherlands, with a turnover of almost 82 million euros counting 450 employees, has been legally forced to pay Leaseweb millions of euros for a failed SAP implementation. Dutch court has fined Ctac to repay over one million euros in already paid invoices, while Leaseweb does not have to pay another 1.1 million euros in unpaid invoices. The court in the Netherlands also ruled that Ctac will be responsible for the damage suffered by Leaseweb. Nov 8, 2018 - EdgeConneX Expands in Europe, Acquires Linxdatacenter in Poland - EdgeConneX (edgeconnex.com), a company specializing in global data center solutions at the edge of the network, has acquired Linxdatacenter's facility in Warsaw, Poland. Headquartered in Amsterdam, the Netherlands, Linxdatacenter is a global provider of "high-end" colocation, cloud and connectivity solutions for businesses. Linxdatacenter operates its data centers since 2001 and runs businesses in Central and Eastern Europe, Russia, Asia and the Nordics.